Submitted 3 years 9 months ago by admin. Get This Amazing FireKable 100% FREE! JUST PAY SHIPPING. 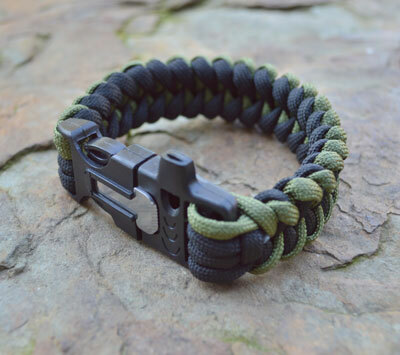 - Has it all: Contains the ferro rod and striker tucked neatly into the bracelet fits discretely on your wrist... - Strikes hot, burns hot: Ferro rod strikes at over 3,000 degrees: hot enough to set just about any tinder alight... - Ultra Durable: Paracord is rot and mildew resistant and heavy duty ferro rod should last thousands of strikes with proper use... - Easy to use: If you can strike a match you can start a fire... - Ultimate survival tool: In a survival situation a fire is life, and you would be amazed at just how far a little bit of cordage can get you! This tool will make sure that you can start a fire whenever, wherever you need it. And it will give you over 80 feet of fully functional cordage.